The Tabletop Toolbox provides you with a series of useful tools for manipulating the table as well as objects on the table such as maps and tokens. Note that some tools may require you to hover over the button with your mouse pointer to view all the available options. Many of these tools are explained in more detail on their own help pages; we've included links to read more about the tool where available. The w Select and Pan Tool switches between a (default) select mode for manipulating objects and an alternate pan mode for quickly scrolling around the table. The r Dynamic Lighting layer (Plus/Pro Feature - GM Only). The c Drawing Tools let you draw free-hand as well as shapes on the tabletop that everyone can see. You can also create text. The e FX Tool (Pro Feature - GM Only) lets you add special effects to the tabletop such as Burn, Explode, Dragon's Breath, and Fireball. The s Zoom Tool lets you zoom in or out on the tabletop. The Ruler Tool lets you click and drag to measure distances on the table. While you measure, other players will see your measurement line so you can discuss what you're measuring. The E Fog of War Tool (GM Only) lets you reveal areas of the map gradually so you can hide things you don't want your players to see just yet. The t Turn Tracker Tool (GM Only) lets you open up a window to keep track of turn order during encounters. Only the GM can see the button to open the window, but once it's open all players can see the window and the order of the tokens. 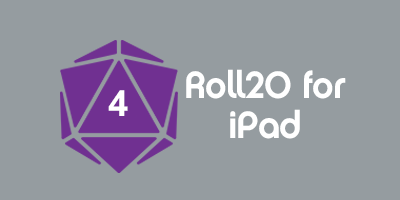 The t Dice Rolling GUI is a quick and easy way to roll dice in Roll20, rather than needing to manually type in a formula. It's great for beginning players. The ? Help Tool is a quick way to open a window that shows the Help site (which you're reading right now! ), report bugs, and consult the list of keyboard shortcuts. This page was last modified on 13 January 2017, at 22:53. This page has been accessed 40,718 times.